SPAR China is proving its ongoing investment in the expansion and modernisation of its store estate as well as the development of a truly modern supply chain. In 2018, this expansion was particularly evident in Guangdong, Shandong and Zhangjiakou, where SPAR store openings and revamps continued right until the end of the year. Customer experience is the biggest priority for SPAR retailers in China, with much attention being given to the instore environment as well as products and services, using state-of-the art technologies.SPAR China now operates 416 stores with 1,033,000m² of retail selling space. In Guangdong, four new stores opened towards the end of last year: SPAR Chashan City, SPAR Hexin, SPAR Mayong and SPAR Yinfeng. All of the stores have succeeded in attracting customers with their eye-catching façades, extensive product ranges and excellent customer service. In addition to general merchandise, the stores boast a good selection of fresh and imported goods, offering a one-stop-shopping experience for customers. Fruit and vegetables are presented in packed portions in well-lit refrigerated self-service counters and islands, and to avoid standing in long queues, customers can make use of convenient self check-out counters. 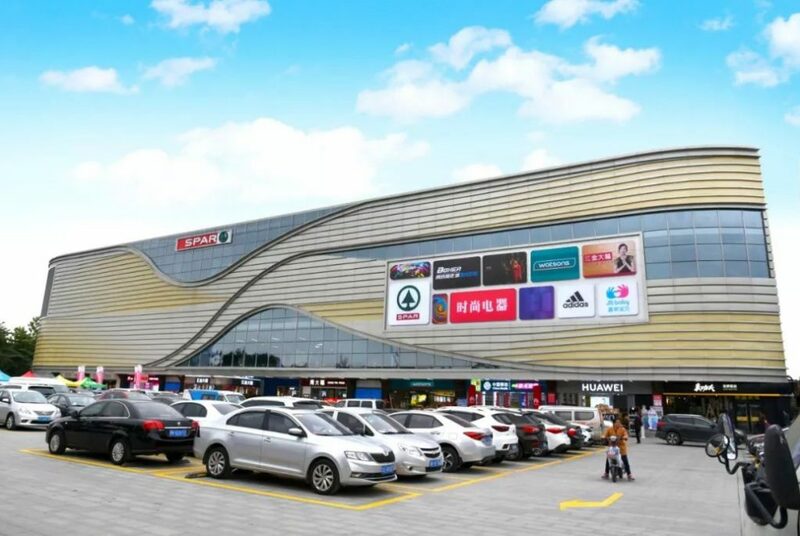 SPAR China’s Partner in Shandong also continues to roll out new stores, announcing the opening of a flagship SPAR Hypermarket in the very busy Taisheng shopping centre at the heart of the local commercial area of Linyi. Designed to meet the needs of the younger generation, the new SPAR Hypermarket of 5,700m² has many attractive departments and has adopted new retail technologies such as facial recognition at checkout counters. This unique service adds value to modern shoppers, making their shopping journey pleasant and easy. The offering includes fresh fruits & vegetables, a fresh deli and Food-to-Go department and an amazing selection of imported seafood and wines, which are proving very popular with customers. 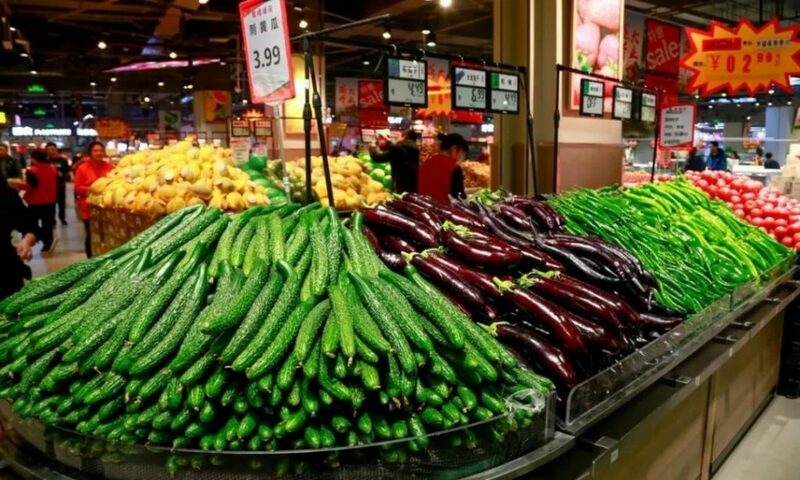 With an effective supply chain management system in place, SPAR Shandong provides a one-stop shop for ordering fresh, healthy foods from a variety of local farms and producers. 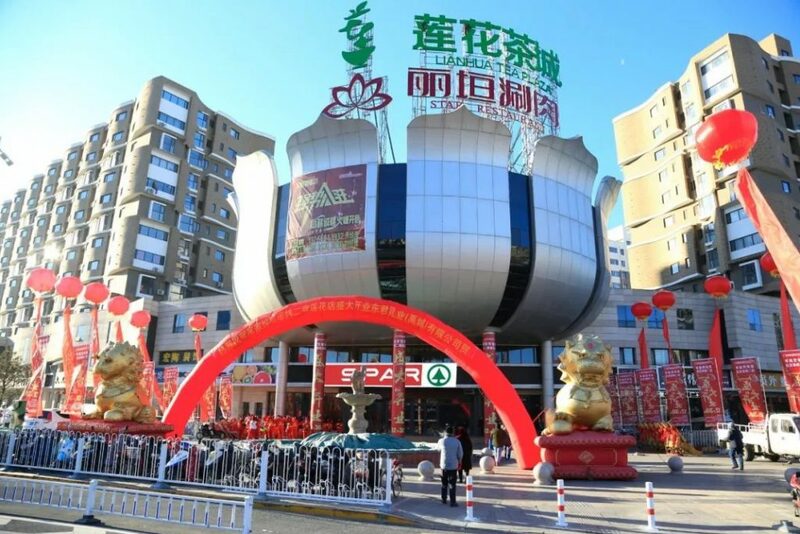 A new SPAR store was launched in the centre of Zhangjiakou on 30 December. The SPAR Lianhua Hypermarket owes its name to the magnificent lotus flower that makes up the store exterior. The hypermarket is located in a high traffic neighbourhood close to local government buildings and welcomes customers with a beautiful instore look and feel. In addition to the large selection of international products, the expansive fruit and vegetable section offers customers an abundance of choice with an emphasis placed on locally-sourced produce. The store makes use of modern retail technologies such as a self-checkout system, smartphone payment and facial recognition. 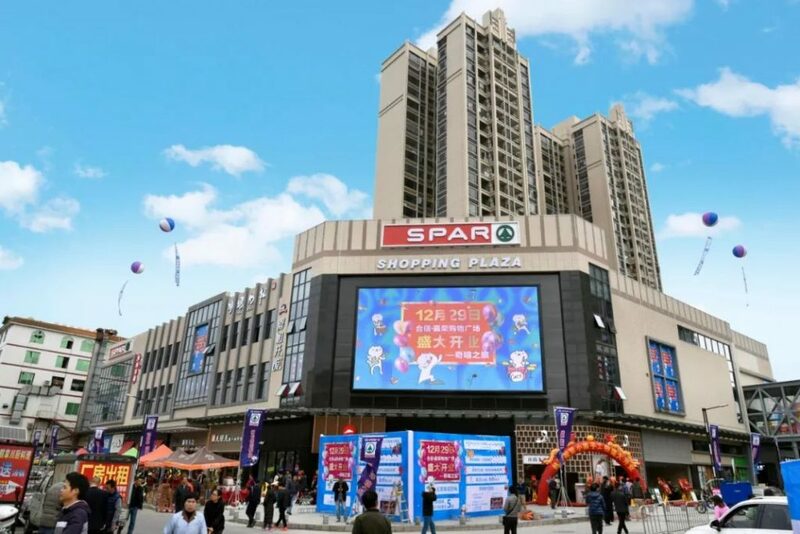 The SPAR Zhangjiakou team has plans for further expansion in the city, applying the same standards and strategies as seen in the SPAR Lianhua Hypermarket. Read more about SPAR China.